USANA, word! 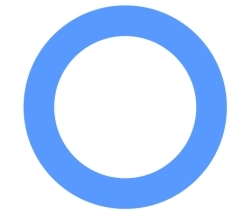 : Diabetes, We Can Beat It! In order to engage millions of people worldwide in diabetes advocacy and awareness, World Diabetes Day was created by the International Diabetes Federation and the World Health Organization and is celebrated annually. It is easy to think we know all about diabetes, but diabetes is way more complex than what we think. At USANA, we care about the health of our community and so, it’s worth our while to take the time and refresh our knowledge on this massive health threat. Diabetes is a group of metabolic diseases in which a person has high blood sugar, either because the body does not produce enough insulin, or because cells do not respond to the insulin that is produced. The classical symptoms of diabetes are polyuria (frequent urination), polydipsia (increased thirst) and polyphagia (increased hunger). However, in some cases there are no visible symptoms, making diabetes difficult to detect. There are various types of diabetes: Type 1, Type 2 and Gestational diabetes but the majority of diabetes falls into Type 2, which can be successfully managed with a healthy diet and healthy lifestyle – and this is how frustrating the situation is - while Diabetes is controllable, it is still a leading cause of death in our community! While knowledge and advice about diabetes is so accessible on the internet these days, people still do not follow the advice. No wonder the theme of this year’s World Diabetes Days is defined as Diabetes Education and Prevention. Following advice and turning it into action is the key to winning the battle! Myth #1: Diabetes has nothing to do with me, because I don’t have a family history and I am young. The fact is that anyone who has an inactive lifestyle and an imbalanced diet is at risk of diabetes, regardless of age, gender or nationality. Also, recent statistics show there is an increase in Type 2 diabetes in younger people. Therefore, don’t take it for granted that you are always the lucky one! Myth #2: As long as I avoid consuming excess sugar from food, I am safe from being diabetes. Avoid products containing high fructose corn syrup. Being label savvy plays an important role here. 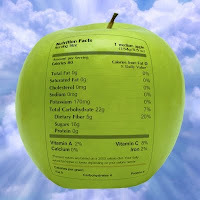 You must educate yourself on ‘hidden sugars’ and look for them when shopping. Myth #3: My parents have diabetes; it is in my genes, so I can do nothing about it. Reduce toxins in your environment; gasoline, paint, solvents, cleaners, heavy metals, air pollution etc. Refer to Alan Todhunter’s tips on a healthy living environment, or have a read of USANA’s Healthy Home book. And finally, we should always have faith in ourselves: diabetes, we can beat it!